Jersey Mike’s is a clean and efficient restaurant with friendly staff members who are always willing to assist customers. Their Northeastern cuisine consists mainly of subs, hot cookies, and fresh salads. Catering with Jersey Mike’s is as quick as three steps. Figure out the number of people, choose which food to order, and place the order. Keep in mind to put in a 24-hour notice for larger groups. Whatever the choice is, customers will always love the fact that Jersey Mike’s deliver food only made from quality ingredients,whether it is their salads or the subs that are prepared right in front of customers. 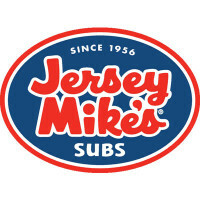 Founded originally in New Jersey in 1956, Mike’s Subsfirst introduced the all-time American favorite submarine sandwich,which became an instant hit among local residents, vacationers, and visitors who often flock to Point Pleasant for that Jersey Shore experience. In 1972, Peter Cranco took over the store where he worked to expand and franchise chains in different states. Today, Jersey Mike’s has over 1,500 locations. Today’s fast-paced life allowed Jersey Mike’s to make it more convenient for its customers. By registering an online account on their website, customers can now order online, receive digital rewards offers, and even track their Rewards Points Balance. People can now easily order their submarine sandwiches “Mike’s way”. This is a meat and cheese sandwich topped off with condiments such as shredded lettuce, onions, tomatoes, salt, oregano, a mixture of red wine vinegar and olive oil, as well as a cherry pepper relish. Three popular items often stand out from Jersey Mike’s catering menu. Subs by the Bag is the most popular among the three for smaller groups. It comes with a choice of any of Jersey Mike’s cold subs. Subs by the Box comes next for groups of ten. It has a larger serving of submarine sandwiches cut into serving slices. Personal Boxed Lunches is another popular item for individual servings. It comes with Chip & Cookie and any Cold Sub. Jersey Mike’s has made ordering a lot faster and more convenient for regulars. Customers can easily phone in their orders at any nearest branch. They can also log on to their online accounts and place an order. With continued patronage from locals in different areas, Jersey Mike’s is able to give back to the community.They were able to team with 120 charities during the 5th annual Month of Giving. Customers who phone in or order online can easily pick up their purchases 10-15 minutes later. This is the standard wait time for orders but may vary depending on the branch. The good news is that customers can now collect points just by purchasing their favorite subs. They can later redeem their points by exchanging it for a sub or a wrap. There are now three sizes available for those who frequently crave for subs. Jersey Mike’s first size is a 5-inch Mini sub that can feed only one person. A second size that can feed one to two persons is the 7-inch Regular sub, also called a Wrap or a Tub. The third size is a 14-15 inch Giant sub that can feed three up to four persons. Mini subs prices start at around $6 to $8. Regular subs prices range from $7 to $11. Giant subs prices are estimated to be either $12 to $15. Orders can be phoned in at the nearest branched and arranged for delivery to the customer’s address. Customers can also log on to their customer account, choose an item for checkout, select date and time for when the order should be delivered, then complete payment details. Sub sandwiches at Jersey Mike’s are a bit pricier compared to those offered by other sub sandwich restaurants. The one thing that puts them on the edge would be the quality food and unparalleled customer service.